Your new company is a leader within the financial sector, have advanced IT technologies, and are based in Dublin city centre. Your new role is a 9 month initial contract. 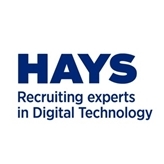 You will join an existing strong development team and play a vital part in the development of customer facing reporting applications using cutting edge technologies. Basic familiarity with querying a relational database with SQL. Experienced with Windows and Linux. Comfortable with viewing and grepping logs on Linux. Experience in working on multiple technologies and medium to complex systems Well versed with design standards and related frameworks. Quick learner of new tools and technologies. Methodologies - Agile, Test Driven Development. Tools - Grunt, Jenkins, Bower and testing tools like JUnit, Jasmine, Cucumber / Gherkins. Able to work in distributed teams across multiple time zones. You will gain exposure to the newest technologies, opportunity to work alongside a talented development team, and gain a competitive day rate. If you’re interested in this role, click ‘apply now’ to forward an up-to-date copy of your CV, or call Caitriona Lemass now on 01 5710015.